We talk with aviation safety professionals and business executives every day about their struggles with implementing and managing an SMS. Inevitably, all aviation safety programs will reach a point of growth where it is getting too much to handle. 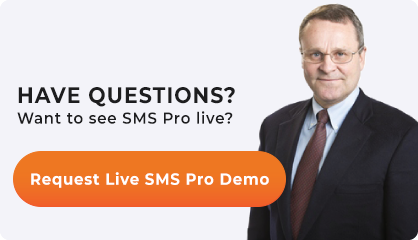 Managers generally feel “bogged down” and unsure how to proceed with implementing the SMS. 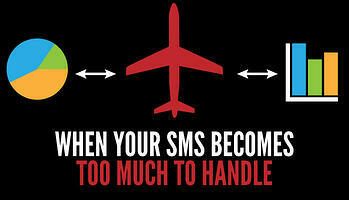 Often, managers feel that their SMS is too much to handle for a combination of the reasons above. Understand your safety needs and acquire pertinent resources. Let’s look at how to do this in more detail. When your SMS becomes too much to handle, one of the best activities you can do is stop and take an audit of what your safety needs are. This is an attempt to outline what is too much to handle. Thoroughness of safety policy, including documented policies, procedures, checklists, processes, etc. Do we know what our goals are for this element of SMS? Do we have a clear strategy/procedure for how we manage this – i.e., do we know how to accomplish these goals? Do we think that the required work is being accomplished in this area of SMS? If yes, is there clear, documented evidence for the required work is being done? In short, do you know why you are addressing the element, how you are addressing, whether or not how you are addressing it is satisfactory, and if so, do you have evidence to prove it. If your answer is “No,” or “I don’t know,” to any of these questions, you are identifying a safety need. Your list of safety needs is a good place to start from when figuring out how to gain control of your aviation safety program. If you have 100 or more employees, your company needs a safety manager. Reviewing safety data and performance. If you already have an aviation safety program but are still feeling short on keeping up with managing your SMS, you may need to hire an assistant. Assistants work best for doing unspecialized, manual tasks that are time consuming. Safety managers time is best spent actually managing the SMS, rather than documenting how they are managing it. Documentation is extremely important, but it’s a task that can easily be delegated to an assistant. Let safety managers spend time working their areas of expertise, rather than simply performing data entry/documentation. Hiring an assistant for your safety manager may free your safety manager up enough that the SMS is no longer too much to handle. Most aviation safety managers and responsible, designated SMS executives feel that the SMS is too much to handle because they are unclear how to proceed. In other words, they feel that they lack guidance on what to do next. See our full list of free SMS resources. Spending some time reviewing these documents will give you a much better idea of where you feel comfortable and where you feel your SMS program needs help. Often the first step in knowing how to get help is simply knowing what to ask. Has high value to cost ratio.